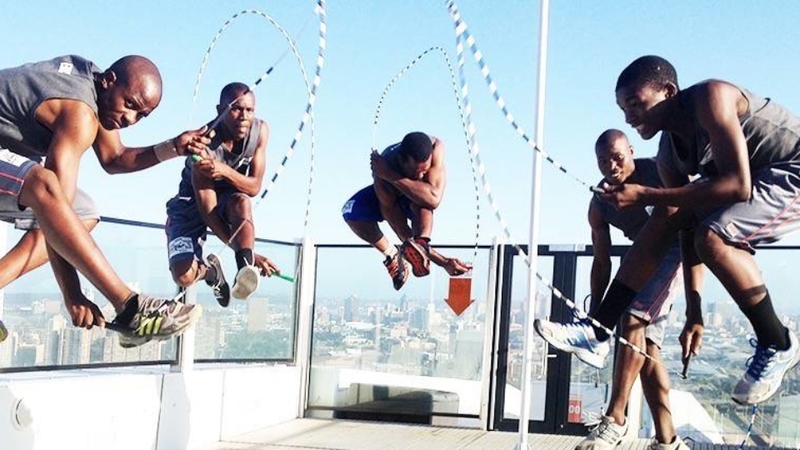 Amabutho Jumpers is the best jump rope team in South Africa. Established in 2011 by Sandile Ntombela as a sports team, after producing world class jumpers, he then transformed the team into the entertainment crew. Jump rope is a combination of break-dance moves, flips and fast fancy foot work all done inside ropes. It is suitable to be performed on an open space stage, indoors/outdoors (not on grass), with lights. With the spectacular jump rope shows provided by AJs, the crew has previously performed in a number of events.